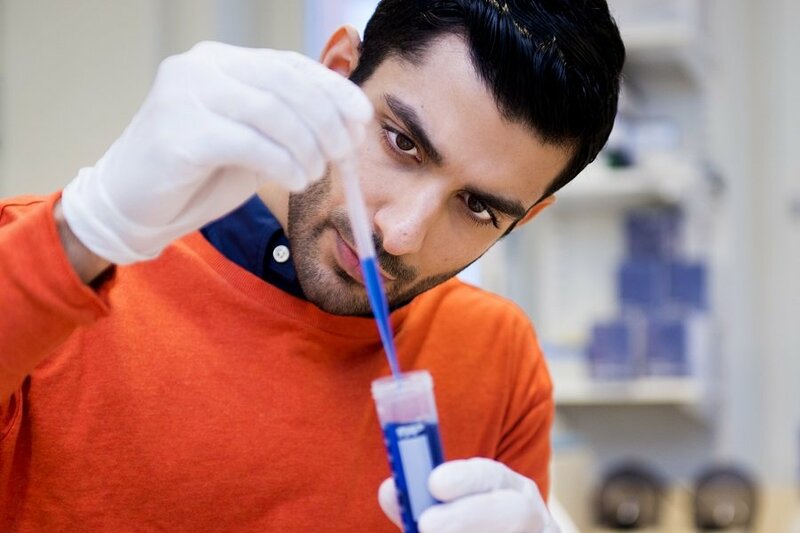 Alumnus Puja Shahrouki is in his final year of medical studies at the University of Gothenburg, Sahlgrenska Academy. He tells us about how his passion for scientific research grew during his IB diploma years at Hvitfeldtska gymnasiet. 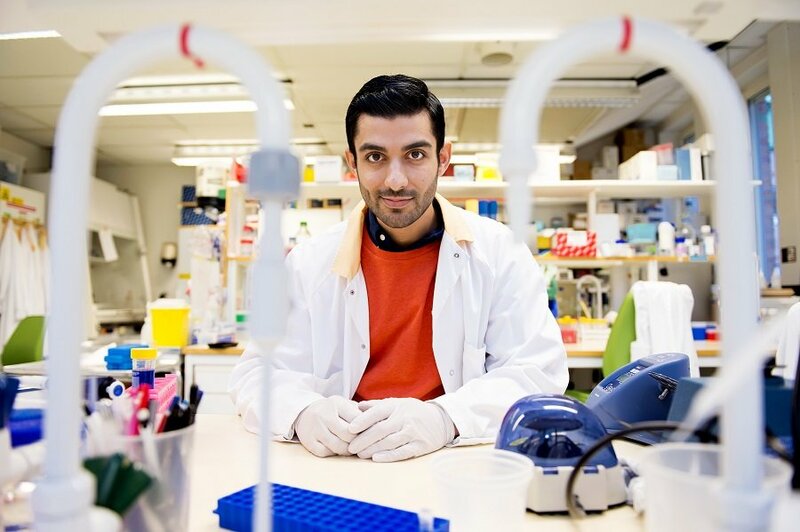 Puja Shahrouki was awarded the 2016 Anders Wall Scholarship for Scientific Research, Sweden’s prize for young researcher of the year, for his work on both cancer and cardiac disease. Photo credit: Daniel Stiller. Why did you decide to pursue the Diploma Programme (DP)? The promise of a challenge. When it was time to apply for secondary school, I heard of the DP through some friends I played basketball with. I went to an open house event at the local IB World School and the teachers promoting the programme were honest – it’s rigorous but extremely rewarding – which indeed turned out to be the case. The two things that appealed the most to me was the depth at which the subjects were taught and the objective assessments. The first helped me gain academic confidence in preparation for medical school, and the second motivated me to do my best as the results only depended on my efforts. Puja Shahrouki (left) pictured with Anders Wall during the award ceremony on 10 March 2016. Photo credit: Kristian Löveborg. What impact do you hope your current research will have on the future of medicine? I have investigated the role of a novel protein involved in the development of heart failure after a myocardial infarction (heart attack). Heart failure often has a worse prognosis than most cancers, and unfortunately these heart diseases are the main causes of death today. By elucidating the mechanism by which heart failure develops, I hope new pharmacological targets for the prevention of heart failure after a myocardial infarction can be found. Are there skills you developed during the DP that you still use today? The Extended Essay (EE) gave me a unique opportunity to try research for the first time. I was lucky to have a supervisor who gave me the tools I needed to independently design a project and carry it out. The lab I did my project at used an animal model of worms, C.elegans, for their research. At the time (and still today), I was very fond of yoghurt, and I wondered if the worms would like the bacteria used in the yoghurt too. I did a literature review on what natural food preferences the worm has, and surprisingly, it was a rather uncovered field. I then set out to answer this question through a series of experiments. It actually turned out that the worms had a strong preference for the yoghurt bacteria over some of the more obvious choices. To this day, the EE reminds me to always be curious in my research and come up with independent ideas, which has helped me go forward with my research time and time again. Who inspired you most as a DP student? The person that inspired me the most was my first IB English A1 teacher. She continuously helped me and my classmates to improve our literary skills at the same time as we developed a true appreciation for prose and poetry. She introduced me to the brilliant classical works of Dickens, Vonnegut and Voltaire, among many others, and I continue to read the works of these authors. By reading we learn to understand both others and ourselves better, and it broadens our perspective. These experiences complemented the other subjects I did during the DP and gave me a more well-rounded foundation to start my medical studies. Apart from the subject in itself, I truly appreciated how my teacher would set the bar really high sometimes, which was great, because there was always something to improve. Medical student Puja Shahrouki says that the Extended Essay (EE) provided a unique opportunity to try scientific research for the first time. Photo credit: Daniel Stiller. What is Students in Research? Students in Research is a non-profit organization that tries to inspire more students to do research in parallel with their university studies and also to facilitate this endeavor. We realize that university studies can be a handful as it is, so we try to find research supervisors that can provide flexible projects designed for students. Doing research early on and continuously throughout one’s studies can truly add a dimension to one’s learning, but above else, it can be really fun. An important part of our work is also to spread information and give guidance on applying for research scholarships suited for university students. Right now we are spreading the concept nationally in Sweden with the aim of organizing research conferences specifically for university students. In the long term we hope that similar organizations can cooperate internationally to organize research conferences, competitions and study visits. IB graduates affiliated to universities are encouraged to support similar initiatives. If you are a university student, consider if it is possible to start your own organization with similar purposes. All you need is an idea of what you think is needed to improve research opportunities for students, an enthusiastic team and an efficient plan. You or your team do not necessarily need research experience yourselves, you could even consider this venture as your own personal introduction to academic research. What advice do you have for current IB students that are thinking about a career in medicine? Try it out! When you have time, for example during a summer break, get in contact with some local physicians and ask if you can shadow them for a period. Even better, use the IB to your advantage and look for physicians abroad to shadow and also get some international experience. I am sure there would be many physicians who would consider taking you in. I think the most important thing you need to learn with a shadowing experience is not whether the heart is on the right or left side (it can be on both actually), but if medicine is something for you. My advice is that your choice of career should be guided by your interests. 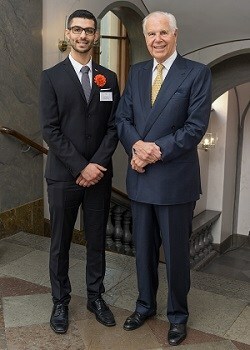 Alumnus Puja Shahrouki received his IB Diploma from Hvitfeldtska gymnasiet, Gothenburg, Sweden. He completed clinical training at Oxford University and Johns Hopkins University and was awarded the Anders Wall scholarship for scientific research, Sweden’s prize for the 2016 young researcher of the year. He is also the co-founder and former president of Students in Research, a non-profit organization aimed at inspiring student led research projects.